In a world where the taste and texture of food is extremely important, there exist individuals known as Gourmet Hunters, or ‘Bishokuya’, who specialize in the acquisition of rare ingredients and animals. 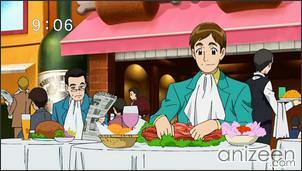 A chef named Komatsu discovers Toriko, one of those Gourmet Hunters, fishing. 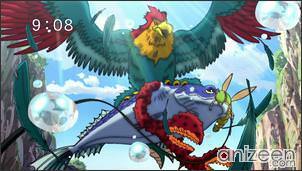 Toriko catches a Pincer Fish, much to Komatsu’s amazement, and stops an attack on the fish by defeating a Five-Tailed Eagle. 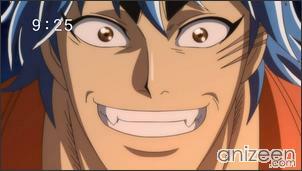 Komatsu tells Toriko about a local Gararagator and hires Toriko. Toriko has the dream to find the most precious foods in the world and create the ultimate dinner course, so, he accompanies Komatsu on his journey to the Baron Archipelago, a swamp where the animal lives. 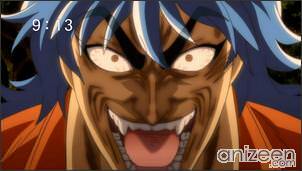 Toriko scares off a Baron Tiger and later, while eating, a Swamp Snake suddenly appears but dies because of a large bite wound. However, they discover Baron Leeches on his body and is quickly eaten by the Gararagator, who reveals itself to be an oversized alligator. 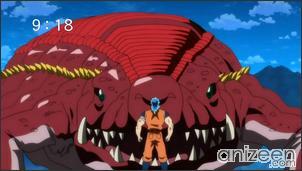 While fighting the Gararagator, Toriko discovers that it smells the scent of blood from the Baron Leeches. 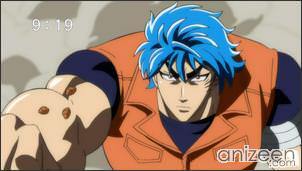 Toriko eventually defeats the Gararagator with Knife and Fork technique and tells Komatsu of his intention to have a full-course menu while eating the Gararagator, while Komatsu tells his dream of becoming a world-renowned chef. 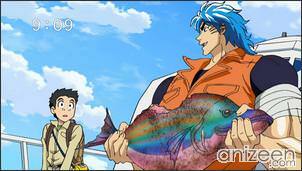 Toriko is a Gourmet Hunter with an abnormally large appetite (A food serving for 500 people could only get him 1/10 full). Despite having a huge appetite and massive power, he does not indiscriminately kill and eat any animal; he only kills those animals he decides to eat. He has immunity to seventy different poisons, created by injecting himself with a near fatal dose of each poison and causing his body to create antibodies. He also has an animal-like sense of smell. He has adopted the Battle Wolf’s new born pup and named it Terry Cloth. 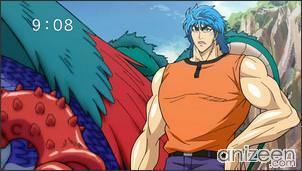 Toriko (トリコ) is a Japanese manga series written and illustrated by Mitsutoshi Shimabukuro. It has been serialized in Weekly Shōnen Jump since 2008, and the individual chapters are being collected in 15 tankōbon volumes published by Shueisha. 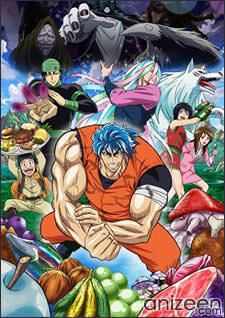 An original video animation of Toriko, produced by ufotable, was released on October 12, 2009 as part of the Jump Super Anime Tour 2009. 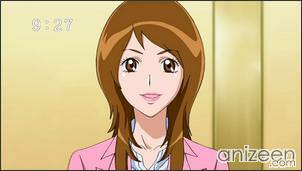 The television anime adaptation, directed by Akifumi Zako and animated by Toei Animation, began broadcasting on April 3, 2011. 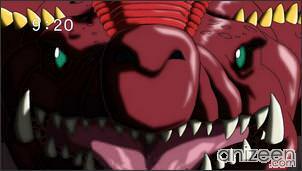 The first episode was a cross-over specil with One Piece. nice review. thanks for sharing. 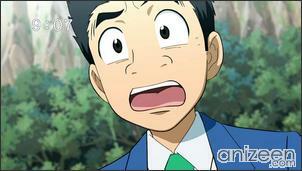 reading this review i googled toriko and found torikoget dot com where any one can see toriko online.